I love looking at the different patterns of fur on animals. Some are as soft as they look, others are aesthetically pleasing, and then you find some with unique little traits that make them stand out on another level. This is one of those times. 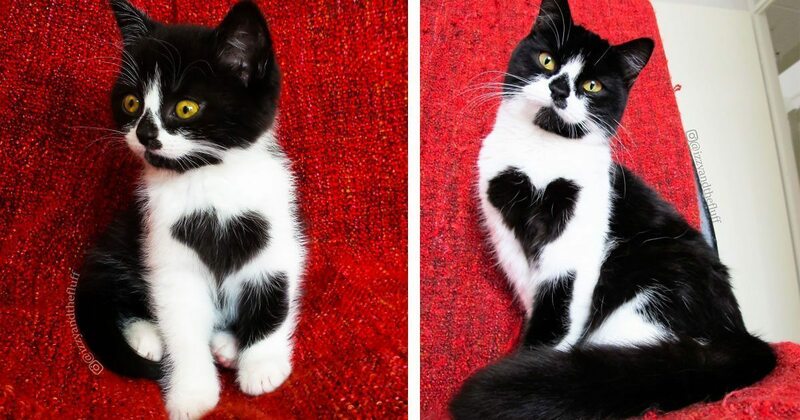 Meet sweet Zoë the cat, who literally wears her heart on her chest. 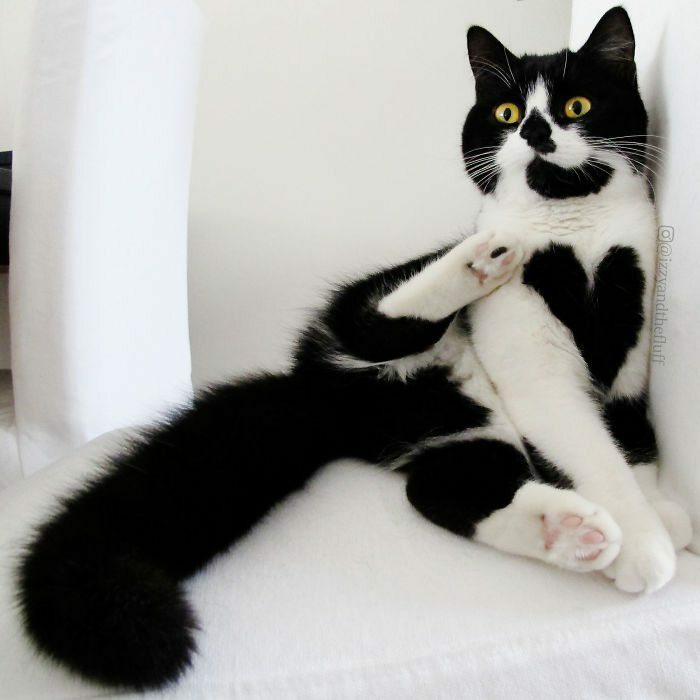 Believe it or not, Zoë’s humans were the first to notice her special black heart birthmark. When they first met her, they were there to actually adopt her sister Izzy. 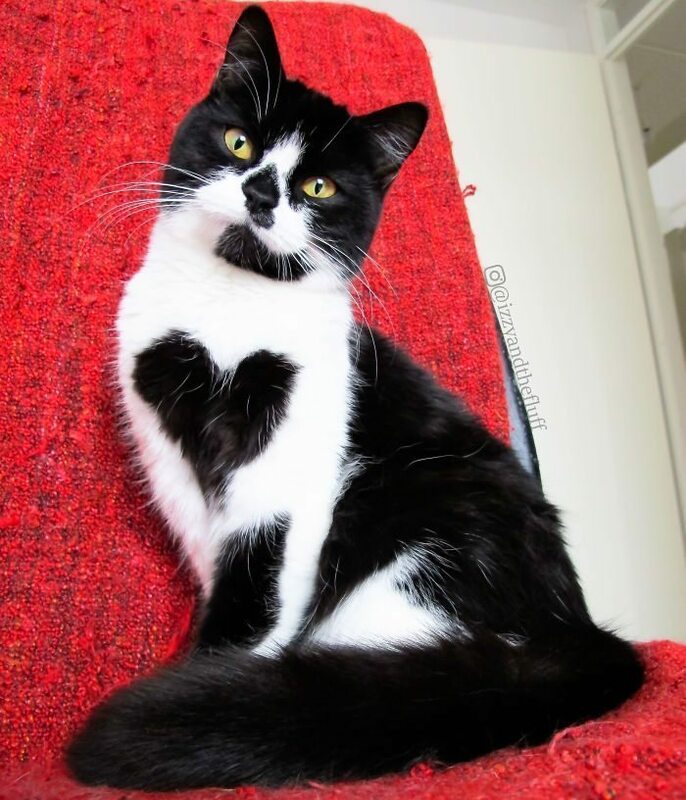 However, one look at Zoë and her big heart patch, and it was love at first sight. 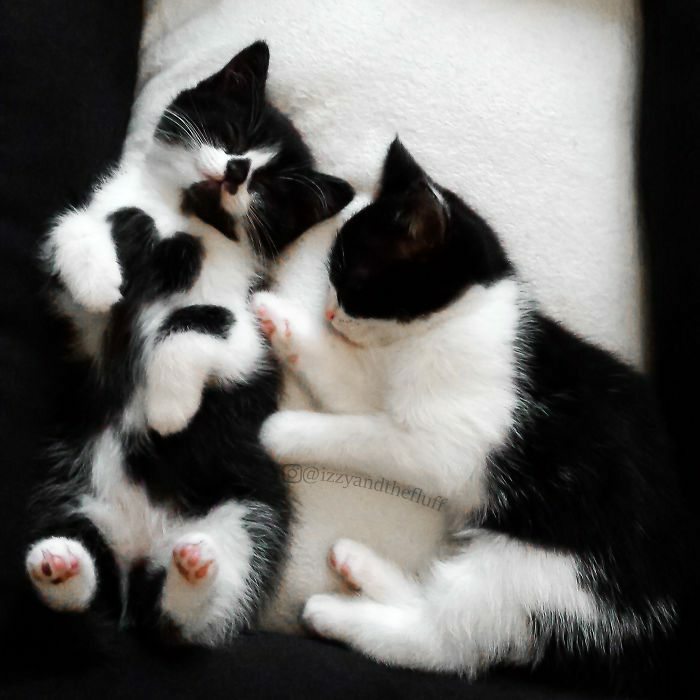 And thanks to Zoë’s “trick on her chest”, the two tuxedo feline sisters were able to stay united as they were adopted together. As Zoë has grown, so has her fur – and her heart patch. She may have the nickname of a queen, but she sure acts like a little jester! If you want to see more photos of Zoë and her sister Izzy, they do have an Instagram account with an impressive 75,000 followers and counting. Though Zoë was initially the center of attention, Izzy earned her place with her amusing, expressive face. 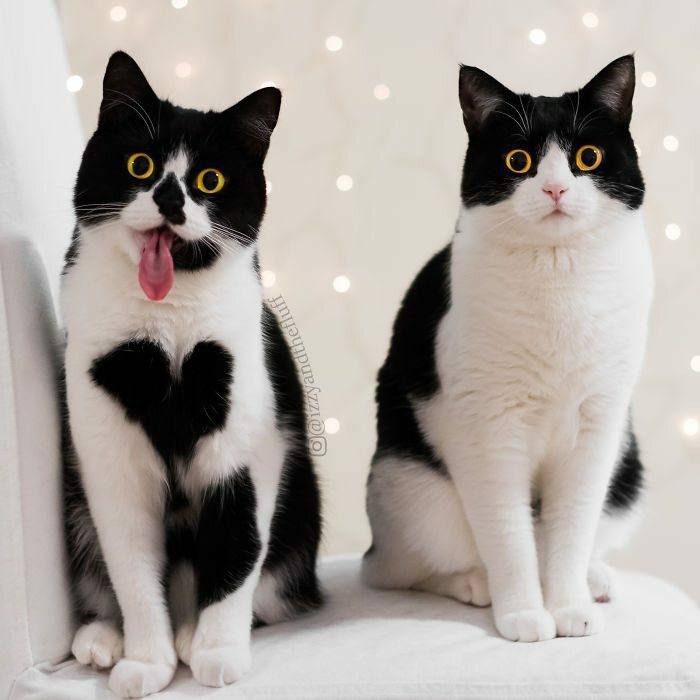 The two cats are British Shorthair mixes, and though they are sisters, they have adorably contrasting personalities. Izzy is an explorer at heart, fearlessly seeking out adventures while Zoë is cautious, but very curious. But overall, they are affectionate to their humans and each other as well. Sisterly bonds, just so precious.